Australia Post has responded to criticism over a newly-released series of AC/DC stamps. 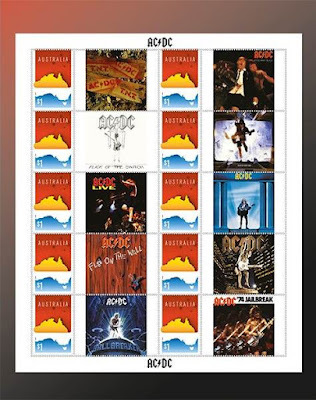 Issued in honor of the band’s 45th anniversary, the collectible stamp pack includes 20 Australian stamps featuring cover images of the band’s most successful albums. As Music Feeds reports, AC/DC fans were quick to point out that the package features some US versions of the album covers, instead of the Australian versions exclusively. The original American artwork for "High Voltage" and "Dirty Deeds Done Dirt Cheap" are included, as well as the "'74 Jailbreak" EP, which was never released in Australia. 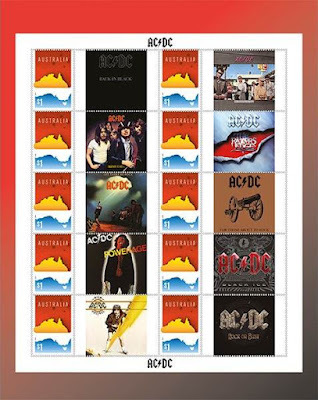 The AC/DC 45th anniversary stamp pack is available at Australia Post here. 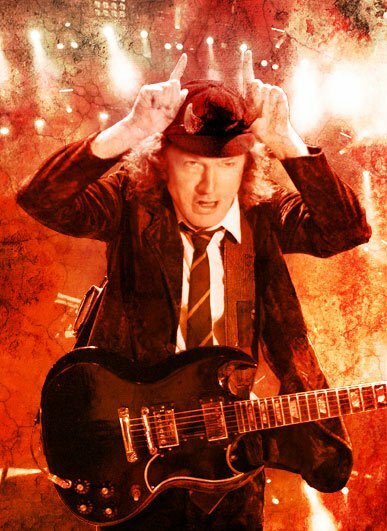 Formed by guitarists and brothers Malcolm and Angus Young in Sydney in 1973, AC/DC went on to sell more than 200 million albums worldwide, including 71 million albums in the United States alone. Australia’s biggest musical export, AC/DC were inducted into the inaugural ARIA Hall Of Fame in 1988, and into the Rock And Roll Hall Of Fame in 2003.